David Attenborough presents the song thrush. Tweet of the Day is a series of fascinating stories about our British birds inspired by their calls and songs. 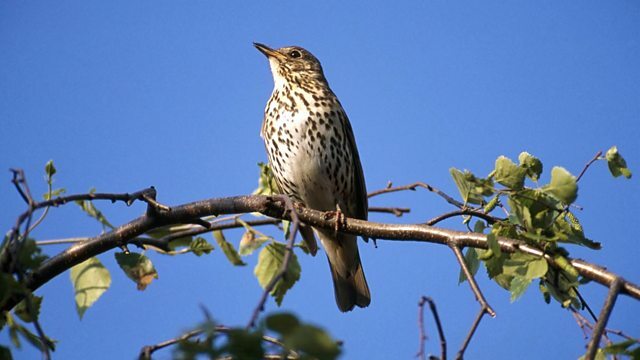 David Attenborough presents the story of the song thrush and reads a passage from Thomas Hardy's poem, The Darkling Thrush. Written at the end of the 19th century, this poem is about the hope that birdsong can bring at the bleakest time of the year. This episode examines how often song thrushes sing in winter. Five stories of birds and birdsong are told by the people inspired by them.